Get paid faster, keep your finances under control and smartly find all your hidden dollars. Raise invoices quickly with integrated billing system. Get paid faster and record payments in just one click. Managing receivables got simpler and quicker. 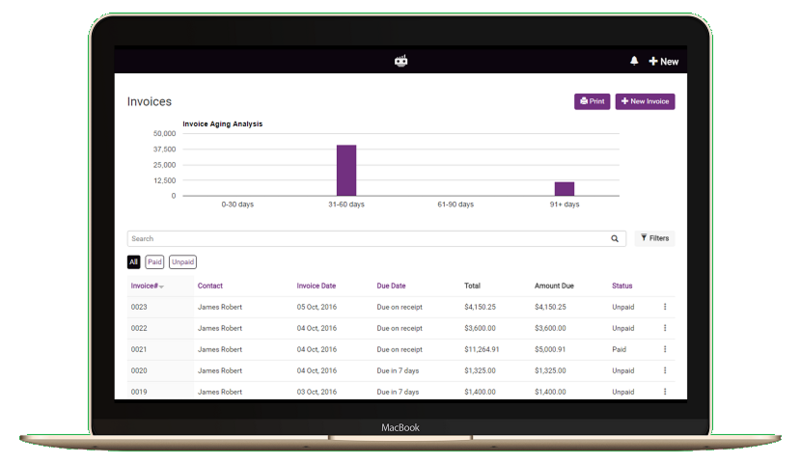 Money finder to track unpaid & partially paid invoices. Track unbilled items like effortlessly. Receive advances and tag with your trust account. Move money from trust to operating and raise invoices. Track trust account balances and transactions. Personalize invoices with your own info, logo etc. Custom terms and notes at Firm level & invoice level. Completely integrated system for error free invoicing. Integrated with trust account and operating account. 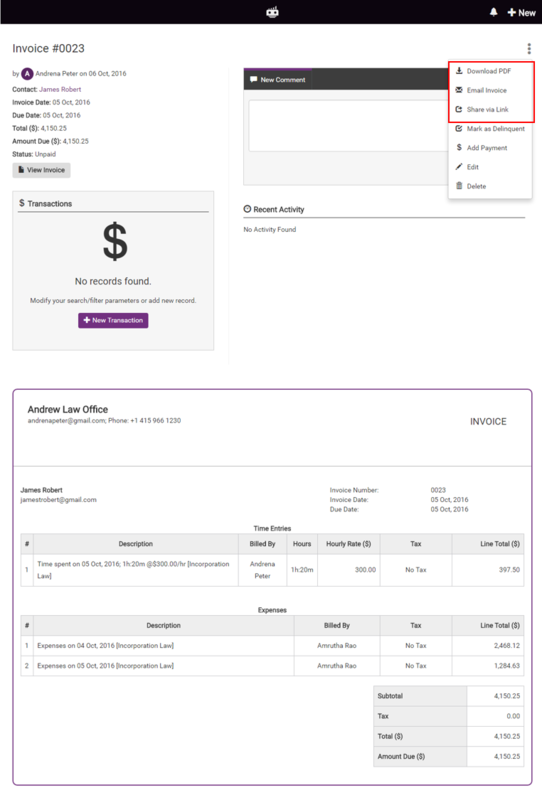 Share invoices directly from the system or over email. Where is the money, Honey!!! With our money finder feature, it is simple to track each and every dollar that you owe. Never loose track of your receivables. Focus more on your core activities without worrying about loosing dollars any more. Never get into any financial mess and keep things completely under control. 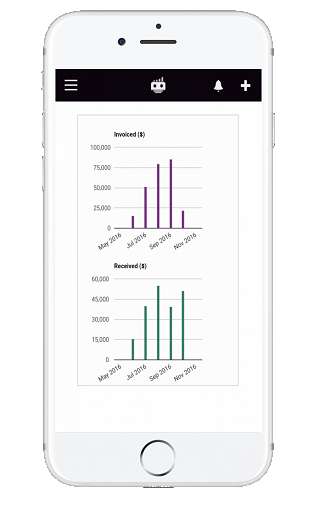 With smart analytics, it lets you identify which payments are stuck critically and what is clients payment style. Never spend sleepless nights and get to a better financial discipline for the entire business. With our easy invoice sharing facility, you can share your invoices with clients in no time. More importantly, it always keeps the values updated with outstanding amounts and payments received automatically. The client is able to pay faster as all info is readily available.